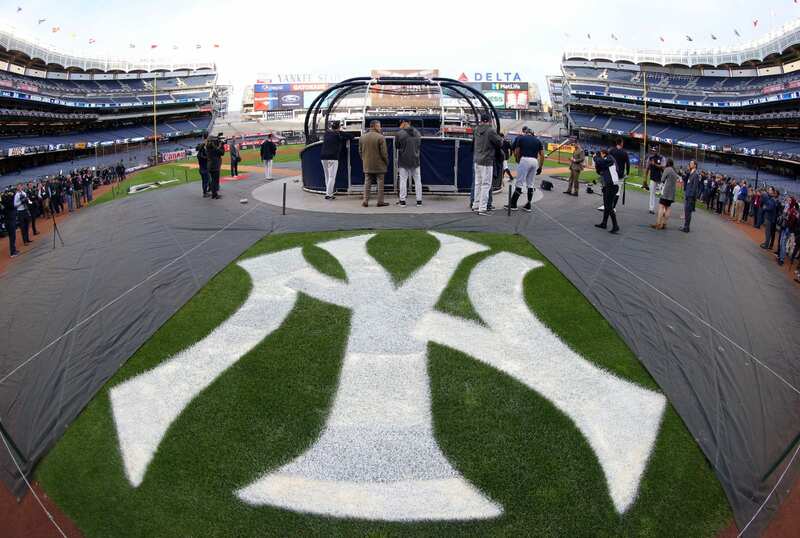 With the two year exception of 1974 and 1975, the New York Yankees have called the Bronx home since 1923. The story of how they ended up there is quite an interesting one, to say the least. It all began in 1920, when the Yankees played their home games at the Polo Grounds, the home of the New York Giants. Thanks to new acquisition Babe Ruth, the Yankees had the turnstiles humming, drawing nearly 1.3 million fans. This was 100,000 more fans than the Giants drew. That did not sit too well with their landlords. So in early 1921, the Giants told the Yankees to vacate the premises. Fortunately, owners T.L. Huston and Jacob Ruppert anticipated this and had begun to look around for a place where they could build a new home for their team. They first considered a lot in an area of New York called Long Island City, but that was rejected. Then they looked at the Hebrew Orphan Asylum on Amsterdam Avenue in upper Manhattan. A contract was actually drawn up, but the deal fell through eventually. In an idea that would be revived almost 80 years later, they pondered building a stadium on top of the train tracks that served the Pennsylvania Railroad on the west side of Manhattan. But the plan ended up getting derailed (sorry for the bad pun) as the War Department (today called the Defense Department) got the space reserved for anti-aircraft gun emplacements. Just as all looked lost, they finally found the right place. It was a lumberyard located in the Bronx, right across the Harlem River from the Polo Grounds. More than 10 acres in size, it was owned by the estate of William Waldorf Astor. Before that, it was once a farm granted by the British prior to the Revolutionary War to a man named John Lion Gardiner. The Yankees bought the property for $600,000, which is equal to $8.98 million in today’s money. Construction began in May of 1922, and was completed in 284 working days. On April 18, 1923 Yankee Stadium opened for business. Babe Ruth christened it by belting the first home run, helping the Yankees and pitcher Bob Shawkey beat the Red Sox 4-1. That would set the stage for the Yankees to establish themselves as baseball’s preeminent franchise, and for the Yankees to establish the Bronx as their home base.